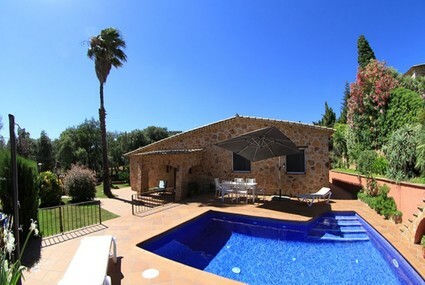 Modern villa with a hint of Spanish authenticity, private pool, large planted private garden and an amazing view over the green mountains, all in the middle of Playa d’Aro’s centre. 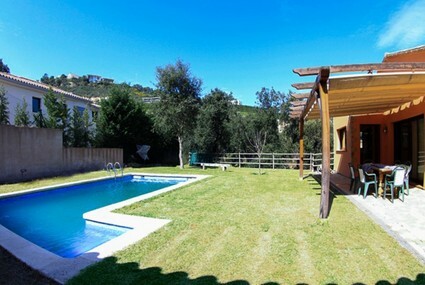 Nice villa in the center of Playa de Aro with Garage, Wifi, private pool und BBQ nearby shops und the beach. 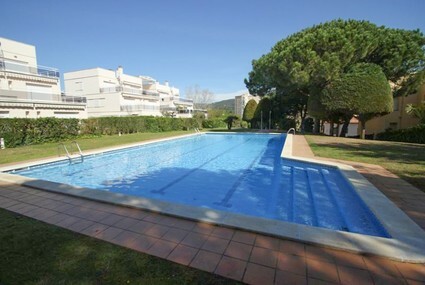 Why should you rent a holiday home in Playa de Aro? You're neither the first nor the last person who spends hours on the internet trying to find a holiday that satisfies everyone. Sometimes it seems like mission impossible, but here comes your salvation! Are you looking for a sunny and relaxing holiday, but do you want to be sure everyone will be comfortable and happy? 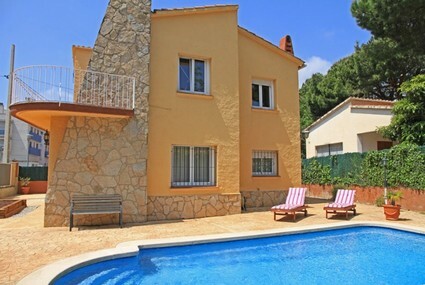 One of the best choices ever is to rent a villa or a holiday home in Playa de Aro at the Spanish Costa Brava! In addition to a bunch of cultural heritage, nature, recreation, beaches and bays, night life and shops, you'll be able to enjoy the local culture all year round. Imagine yourself happy as a king in the middle of a joyful and festive experience during one of the activities or events that's on Playa de Aro's programme. One of the good things about renting a villa or a holiday home is that you don't have any timetables, not even for breakfast, lunch or dinner. In your holiday home you'll enjoy uninterrupted peace and privacy. And, when you feel like it, you can venture outside and discover the versatility of Playa de Aro and its surrounding area. Find our more about Playa de Aro's possibilities and continue reading! 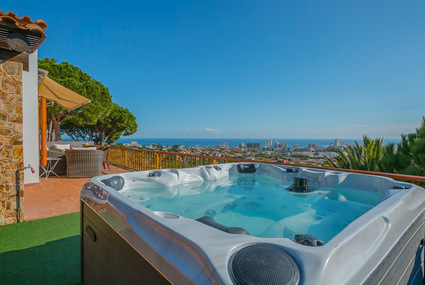 During your holiday in Playa de Aro, you'll have the most wonderful and enriching experiences. 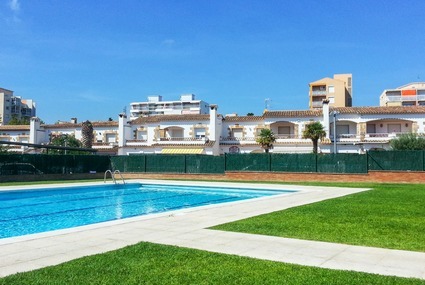 Imagine you're staying downtown in one of our Club Villamar villas or holiday homes, or in one of the residential areas like Treumal, Los Olivos, Mas Ross, Cim d'Aro or Dalmau. Withing no time, you'll be in the middle of the lively, cosmopolitan and modern centre of Playa de Aro. You can also have a totally different perspective on Playa de Aro and its surroundings, if you explore the peaceful, old streets of the historical part Castell d'Aro. There, you'll unveil the perserved medieval charm and you'll meet Playa de Aro's culture at its museum, El Museo de la Muñeca, at the castle, Castillo de Benedormiens and at the most popular monument of Playa de Aro, the beautiful parish church of Santa Maria. Of course you can flow down on Playa de Aro's beach, or try one of the many water sports. Though, if you're looking for some extra water fun, you should pay a visit to the water park Aqua Diver (Playa de Aro). Pools, water slides, hot tubs, sun beds and many more are waiting for you to make sure you, your family and your friends have a great day. Are you looking for a good atmosphere? Both during the day and during the evening, you'll be able to enjoy pleasant moments at the cosmopolitan and modern centre of Playa de Aro. You can start your evening in one of the many bars or pubs. And if you want the party to go on, try Playa de Aro's modern night life. Another thing there's plenty of are shops! You can shop till you drop in Playa de Aro's four shopping centres and enjoy one of the largest open air shopping malls of the region. Isn't it great to have your own holiday spot, where together with your family and your friends, you can decide what, when and how? That's how a holiday should be, right? And whether you have a sea view, a beautiful view on the countryside, or if it's like you're with your holiday home at the beach you'll have an amazing holiday. Fulful all your holiday wishes like many holiday makers have already done with us, Club Villamar. At this lively place, you'll enjoy wonderful moments of culture, nature and tranquility whenever you long for it. And your holiday home will feel like your second home, where you'll have everything at hand and where you'll finally get your well deserved moment of relaxation. That sounds amazing, right? Besides Playa de Aro being a lively holiday paradise, you'll also find calm and pure nature! Due to the excellent location of Playa de Aro, you'll have countless possibilities to explorer the beautiful natural areas. Your choices are almost inexhaustible. You can follow the coastal routes by bike to admire the beaches and bays of Playa de Aro, or another day, go for a awalk along the green routes that will take you to many historical spots and major high lights. Or another idea is to follow the marked routes to Les Gavarres and to Puig Pinell. From the water, you'll see everything differently. Enjoy a breathtaking view of Playa de Aro and its surroundings: go on a sailboat, a catamaran, or a kayak and sail along the coast. 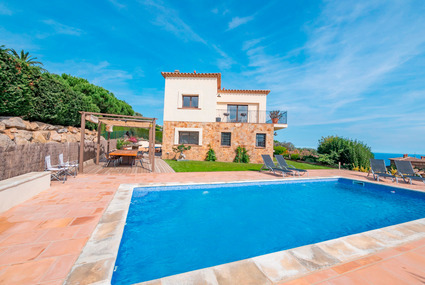 Why should you rent a villa or a holiday home at Club Villamar? Have you already seen the pictures of villas and holiday homes from above? Place yourself in this dream picture: a private pool in your garden or the beach just a few steps away. Besides that, you, and no one else but you, is in command of how you spend your time in your villa or holiday home! Isn't it great to get the best out of your holiday? Don't be affraid, because you can make this holiday dream come true. 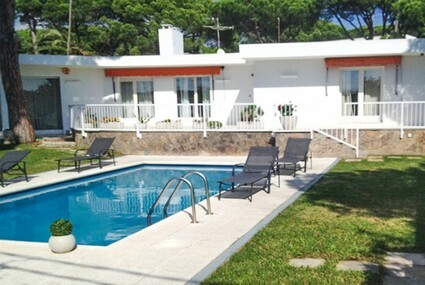 With Club Villamar, you'll spend your holiday in a villa or a holiday home in Playa de Aro for the lowest and most reasonable price per person! Do yourself a favour and save time and aggravation. 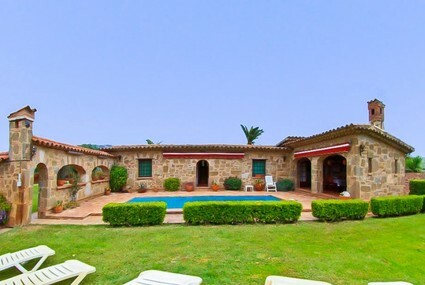 Search for your favourite villa or holiday home with our search engine. Select your holiday requirements on the yellow/orange box from our website and your search results will be refined. Have you found your perfect holiday home? Book your holiday home with Club VIllamar and get a 100% satasicfaction and a lowest price guarantee.